Does the Australian Government have its head in the sand when it comes to moving from a country largely dependent on imported liquid fuels to a nation able to take full advantage of its abundant natural gas resource? That is the question raised by Gas Energy Australia (GEA), the downstream gaseous fuels peak industry body, in response to the government acknowledging it has a serious problem. Welcoming the announcement of a long overdue Review of Australia’s Fuel Security, GEA stated that one of the simplest ways to reduce the cost of building fuel reserves is to switch away from oil based fuels. 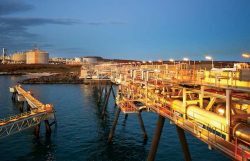 GEA CEO John Griffiths said that one of the barriers causing a bureaucratic failure to even accept Australia has a fuel security problem, has been the practical reality of what would be the excessive cost of meeting Australia’s International Energy Agency (IEA) 90 day oil reserve obligation. Fairfax Media reported last week that the stock situation is grim: 22-day supply of crude oil, 59 days of LPG, 20 days of petrol, 19 days of aviation fuel and 21 days of diesel. “So it’s easier to put your head in the sand and assume away the security vulnerability. A bit like believing the Titanic was unsinkable,” said Griffiths. 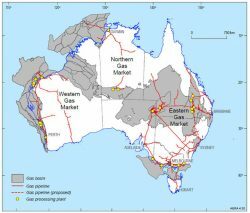 Australia has significant gas reserves that could provide gaseous fuels like LNG, CNG and LPG – all of which can be used for transport with current technology, for off-grid baseload power generation and many industrial uses. Griffiths says that would go a long way to addressing national security concerns while also bringing price stability and lower costs. Switching just a proportion of Australia’s transport and other energy uses from oil to abundant Australian gases would not only significantly reduce the need to build expensive oil reserves – but would also help with demands for cleaner and lower emitting fuels. There would also be a significant contribution to future employment over time. GEA holds its National Forum: “Tomorrow’s Energy Today” this week on May 17-18 on the Gold Coast in Queensland. Land and marine-based natural gas powered transportation is on the agenda. It presents an opportunity for national decision makers to learn more about a global market that already embraces 25.1 million natural gas vehicles and 200 LNG-fuelled vessels that are either sailing the seas or under construction in shipbuilders’ yards in several countries.